After the ethanol lobby aired a television advertisement slamming him, Congressman Peter Welch (D-Vt.) called it a "corporate-funded, deceptive attack ad" financed by "out-of-state, subsidized corporations." "The corn ethanol industry is spreading a Washington-sized load of manure across Vermont," he said in a written statement released Saturday. But at a press conference Monday in Barre, Welch conceded that the ad's central claim — that he signed a letter drafted by an oil industry lobbyist — is true. The dustup comes as the Obama administration finalizes regulations governing how much ethanol must be blended into gasoline. The corn and agribusiness industries have lobbied for the Environmental Protection Agency to increase those levels, while the oil and restaurant industries have lobbied to decrease them. For years, Welch has taken the latter position, arguing that ethanol mandates drive up corn prices for farmers and food producers, hurt the environment and damage small engines. Two weeks ago, he and four other members of Congress, including Rep. Bill Flores (R-Tex. ), authored a letter to EPA Administrator Gina McCarthy calling for stricter limits on biofuels. Another 180 members signed the letter. A copy of a letter signed by Congressmen Bill Flores, Peter Welch and others shows that Michael Birsic, a lobbyist for Marathon Petroleum Corp., created the original document. Two days later, Bloomberg Government discovered that Michael Birsic, a lobbyist for gasoline refiner Marathon Petroleum Corp., authored an early draft of the letter. 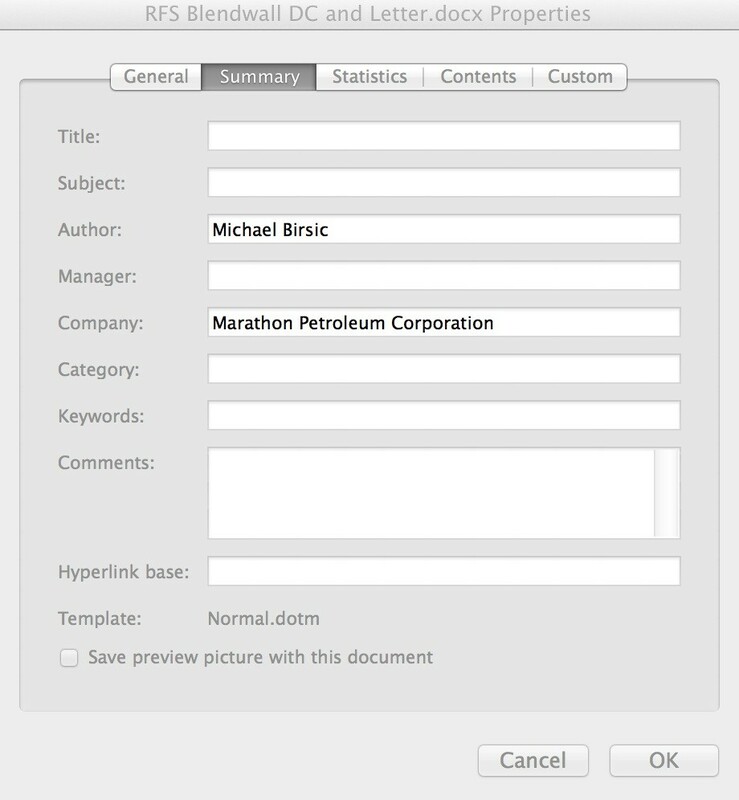 Birsic told Bloomberg that, while Marathon was a "collaborator" in its creation, "We were not the original or primary author of the letter." A spokesman for Flores told Bloomberg that his boss "was not aware until last week that the letter contained some material which might have originated from a stakeholder." On Saturday, the pro-ethanol industry group Fuels America launched a weeklong ad campaign on at least four Vermont television stations criticizing Welch for signing the letter. According to public files kept by the stations, the organization spent at least $20,145 on the campaign — a modest sum, even by Vermont standards. "Vermont has a proud tradition of progressive leadership, protecting our environment and standing up to corporate interests," the ad's narrator says over a backdrop of Vermont scenery and the faces of Sen. Bernie Sanders (I-Vt.) and former governor Howard Dean. "So why is Congressman Peter Welch circulating a plan written by oil industry lobbyists that protects their profits at the expense of clean, renewable fuels?" 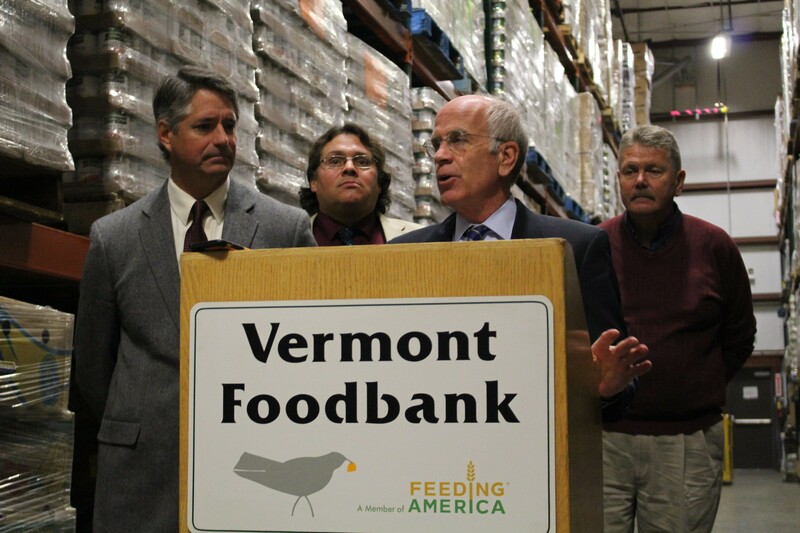 After criticizing the ad in the written statement over the weekend, Welch called a Monday press conference at the Barre headquarters of the Vermont Food Bank, which he had previously been scheduled to tour. Standing beside Franklin County dairy farmer Bill Rowell and representatives of the Sierra Club, the Vermont Public Interest Research Group and the Vermont Association of Snow Travelers, Welch ripped the TV commercial. "The corn ethanol folks in Washington are running an ad in Vermont attacking me for being opposed to the corn ethanol mandate," he said. "Bottom line, I understand why they're doing it. The mandate is a moneymaker for the corn ethanol industry." Asked what, specifically, was factually incorrect about it, Welch said, "The whole ad." He specifically pointed to its second half, which notes that the letter was also signed by "96 members of Congress who deny that climate change is real." Welch offered no evidence to refute that assertion. "They're trying to make a guilt-by-association argument," he said. Asked about the allegation that a Marathon lobbyist had written the anti-ethanol letter, Welch said, "I would agree with whatever [Congressman] Flores said. I read the letter, alright? And in the letter, I stand by what is written in the letter. And whoever contributed to help Mr. Flores write it, I don't know. But I have read those reports, and I expect that that's the case." He added: "The real question here is the policy and whether what is in the letter is something I stand by — and I do." Welch said he had not personally met with Birsic or other industry lobbyists about the letter before signing it and did not know whether members of his staff had. "In Washington, we talk to citizens. We talk to lobbyists. I mean, you know the whole drill," he said. "Bottom line: What do I believe? I believe that ethanol is really bad for farmers, for small engines, for food consumers and, frankly, for the environment." It's also bad for some of Welch's biggest campaign contributors. As Seven Days reported in December 2013, some of the most prominent trade groups fighting ethanol mandates have donated tens of thousands of dollars to his reelection bids. In the past three election cycles, according to data collected by OpenSecrets.org, Welch has collected $15,000 from the Petroleum Marketers Association; $12,840 from the Food Marketing Institute; $12,500 from the National Restaurant Association; and $6,500 from the Society of Independent Gasoline Marketers. In October 2013, he keynoted an ethanol "policy summit" underwritten by the American Petroleum Institute. Asked Monday whether lobbyists for any of his campaign contributors had spoken to him or his staff about the ethanol issue, Welch said, "I wouldn't be surprised, but the bottom line here is that the policy stinks." He defended accepting contributions from the petroleum industry, arguing that it was necessary to raise large sums of money in the wake of the U.S. Supreme Court's Citizens United decision. "I feel very comfortable that my contributions are all reported and none of them affect what my position is on matters of importance to Vermonters and to the country," he said. "I feel very comfortable about that." Welch's opponents aren't the only ones running advertisements on the ethanol issue. His allies, under the banner of Smarter Fuel Future, spent far more — at least $50,660 in Vermont, according to public files — airing an advertisement criticizing the mandates. Its primary sponsors, according to public disclosures, were the National Council of Chain Restaurants, the American Council for Capital Formation and the National Marine Manufacturers. Welch said Monday that he had not seen the anti-ethanol ad. Renewable Fuels Association president and CEO Bob Dinneen, whose organization helped fund the anti-Welch ad, said Monday that Fuels America had no plans to extend the campaign beyond one week. "No, we just want the people of Vermont to understand there's a member representing them in Washington who's not doing his homework, who's taking talking points from the big oil companies on an issue that, frankly, deserves a little more thoughtful attention," he said. According to Dinneen, Welch was the sole target of its ad campaign. "Welch has just been such a high-profile person on this," he said. "He just seems to warrant a little special consideration."